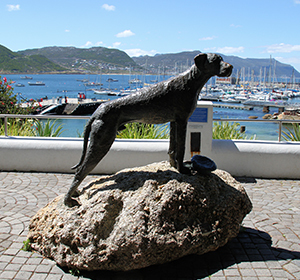 Three-hour historical walking tour down Simon’s Town’s Main Road with guide and story teller Chris Taylor. Tel: 082 908 3456 or info@capetowntourist.co.za. Guided tour of the SA Navy Submarine SAS Assegaai. See the interior of the submarine, which was the third to be commissioned into the SA Navy. Contact HGTS Tours on 021 786 5243 or info@hgtstours.com. Travel by wooden vintage train coach along the rugged and scenic False Bay coast. Booking essential. www.atlanticrail.co.za. Experience Cape Town at your own pace on a double decker hop-on hop-off bus. There are two routes to choose from: the heritage-rich City Route and the beautiful mini-Peninsula route. 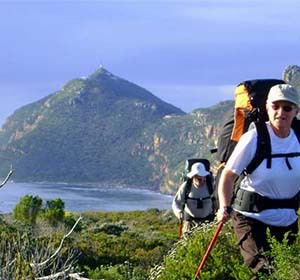 Passengers can also opt for an add-on Winelands tour through the vineyards of Constantia or a Hop On Hop Off boat tour through the city’s interconnected Waterfront canals. www.citysightseeing.co.za. Many divers are drawn to Cape Town by its Seven Gill Cowsharks, which can be seen year-round, as well as several other pelagic and reef shark species. 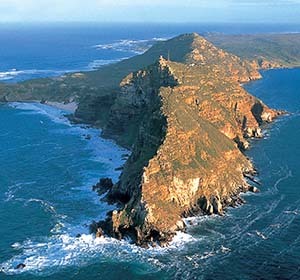 Snorkelling and scuba diving with Cape Fur Seals is another hugely popular choice. 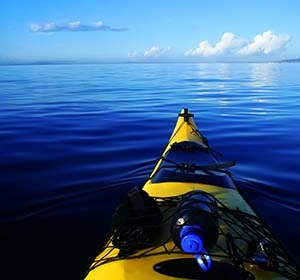 Paddle the warm waters of False Bay in a double sea kayak. Great for beginner paddlers and experts. The False Bay coastline is picturesque and boasts magnificent beaches with waters far warmer than the Atlantic side of the Cape Peninsula. 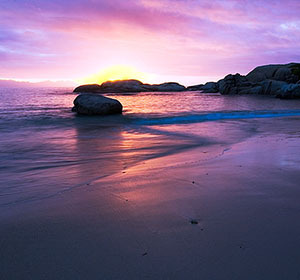 There are many wonderful public beaches, a number of which are in Simon’s Town or close by, including Boulders Beach, world-famous for its African penguin colony. 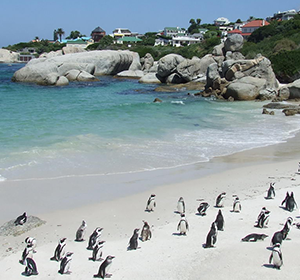 Boulders Beach – 2 minute drive and 15 minute walk from Tom’s Cabin, penguin viewing and public beach with safe sandy coves for kids. Windmill Beach – 5 minute walk from Tom’s Cabin, in front of the golf course. 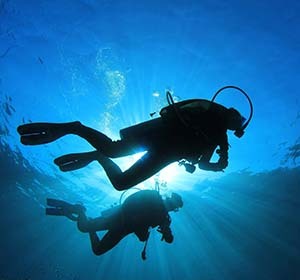 Especially popular with divers. Seaforth Beach – 3-minute drive from Tom’s Cabin near Boulders. Lovely white sand beach with nearby restaurant and bar. Water’s Edge Beach – Between Seaforth Beach and Boulders. A local secret, off the beaten track. 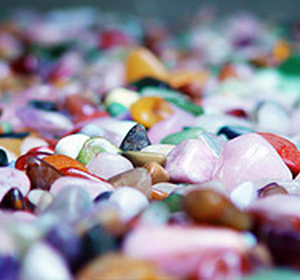 Swimming, snorkelling and rock pools – great for kids. 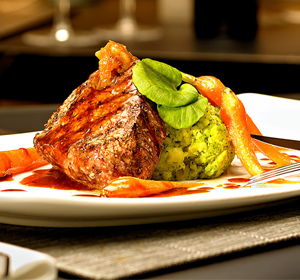 Fisherman’s Beach – 2 minute drive from Tom’s Cabin. Lovely sandy cove tucked between boulders, with grassy lawn. Nice beach for kids.